Ever since its advent, the video gaming industry seems to be on the rise with more and more people adorning the gamer tag each day. From the days of Tetris and Pacman to the current days of Fortnite and Far Cry, the industry has seemed only to grow bigger and bigger. People can now choose gaming as a career option if they are good at it. The industry also provides jobs to loads of people ranging from app developers to voice artists. No matter how old are you and what are your preferences, there might be a video game out there for you. There are games which require complicated setups and highly advanced hardware, and then there are games which can be easily accessed through mobile phones. Since there are so many people gaming around the world, it is bound to attract a few of the anti-social elements as well. There are organizations which want to enjoy a monopoly over the games, and then sometimes there are governments and other institutions who wish to keep a check over the games and gamers. All these hindrances to you having the best gaming experience can be overcome using VPNs (Virtual Private Networks). Let us start with the list of a few VPNs which according to us are among the ideal ones for gaming. This VPN service possesses all the necessary tools needed for gaming. The biggest advantage of using VyprVPN is that it is one of the fastest VPN services out there. There is also a slight chance of improved ping rate in some of the cases. This Switzerland-based VPN service has servers in more than 60 countries around the globe. It will ensure that the user gets access to the majority of the geo-restricted gaming content. The user can have the service for most of the gaming devices as VyprVPN works with routers as well. IPVanish is yet another VPN service which secures the user’s internet connection without undermining the internet speed. The user can game for long sessions on the service without the need to worry about the throttling of the connection. A few VPN services cap the connections when they notice high volumes of internet usage, but such is not the case for IPVanish. The vast server network helps the user bypass the regional restrictions while the secure protocol and encryption act as a wall between the user’s privacy and any possible threat. 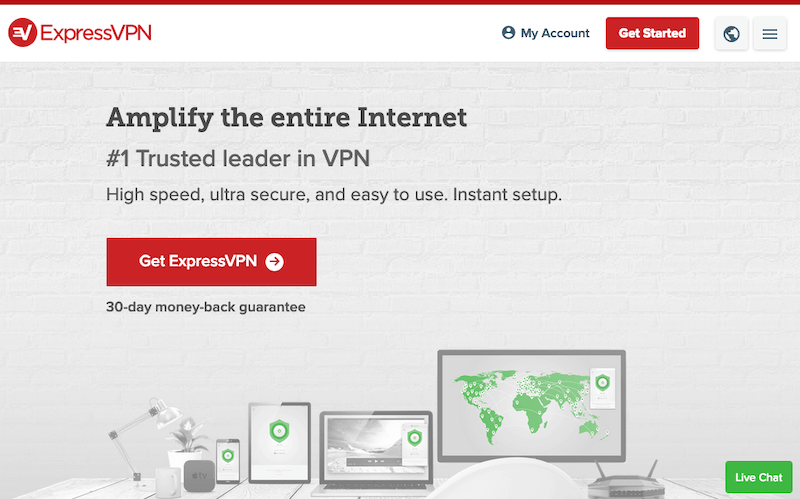 ExpressVPN is one of the giants of the VPN world. There is a high probability that this VPN service will pair directly with your console as it is compatible with a wide range of platforms and devices. If the service does not work with your device, then you can use it through the router. The humungous server network of ExpressVPN will not let you down when it comes to accessing games available in different parts of the world. The high number of servers and server locations will help keep the latency issues at bay as you enjoy your favorite game. Now that you are aware of some of the better VPNs for gaming let us understand what factors affect the choices for the best VPNs for gaming. The primary reason for which people use VPN services is to preserve their privacy on the internet. We use the internet for most of our regular activities. The online activities can tell a lot about the user’s life. It can tell about the places you want to visit from your ticket searches, and it can also tell about the health issues you are suffering from by looking at your online medical purchases. Apart from the ISPs and government agencies, there can be other groups with bad intentions, who might be trying to get a hold of your data. How these legal and illegal groups use your online data is a topic for a different article, but it is certain that the information can be used as leverage against you. VPNs encrypt the user’s online traffic and then route it through their servers before transmitting the information on the internet. The encryption makes it impossible for the third-parties to know what data is enclosed within the encryption. Even the ISP will be unable to know what websites you are visiting let alone the information exchanges between you and the website. You might be wondering what the relationship between gaming and online privacy is. Well, privacy has the same to do with online gaming as much as it has to do with any other online activity. You wouldn’t want a bitter opponent to know anything about you other than your gaming name. Even though the chances of a salty opponent trying to snoop into your personal life are very slim, they still exist. We say it is better to game without the worry of exposing your personal information. The matter gets even more serious when the stakes are high. All of us are aware of gaming tournaments happening around the world with very handsome rewards for the winners. The people participating in such tournaments are some of the bests in the world, and therefore, popular in the gaming community as well. Similarly, there are streamers and gamers on platforms such as Twitch and YouTube who enjoy the limelight of the gaming universe. One hazard of popularity is that people become more interested in things you do other than gaming as well. If you are a successful streamer, someone may try to use unfair means to defeat you in the game just for the bragging rights. One of the unfair means can be a DDoS attack. It can be used when you are playing a game in which the game servers are not involved, and there is a peer-to-peer connection between the opponents. If you don’t have the VPN protection, the other person can see your correct IP address and launch a DDoS attack. It will decrease the efficiency of your broadband connection, and you will be left at the mercy of your opponent in the game. The VPN can mask your IP address and as a result, mask you from such attacks. VPN can be a handy tool for all such people to keep their personal lives out of the gaming world. Just like movies and shows, games also suffer from the curses of geo restrictions and regional blocking. A game may be blocked in a particular country because of its controversial backstory. Games also launch on different dates in different parts of the world. Sometimes the difference in the launch dates can be a couple of months. Even though you pre-booked the game well in advance, you won’t be able to do much to play the game if it launches at a later date in your region. In the meanwhile, it will also be tough to keep yourself away from all the spoilers and the Easter eggs of the game. There can be different reasons for the difference in the launch dates. Some of the reasons may make sense to you such as the logistics and server issues, while some of them may be purely atrocious such as the ones which cite promotion as one of the reasons. As a gamer, all you want is to get your hands on the game as soon as possible and have some good time playing the game. The mechanism of blocking the games in a region, whether it is temporary or permanent, is the same for most of the games. The game servers block the IPs originating from the region where the game is unavailable. A VPN service not only masks the IP address of the user but also provides the user with an option to choose a virtual location from the different options available. VPN services place their servers in different parts of the world. Majority of the VPN services allow users to connect to any of the servers in the network. The masked IP location of the user will then point to this foreign server when anyone tries to locate you using the IP address. So, all you need to do is connect to a server in one of the regions where the game is not blocked. The game servers will not be able to identify your correct location, and you will have access to the game. We don’t recommend anyone to go against the laws and access games which are banned in a country because of reasons other than a management verdict. However, we also find no harm in accessing a game for which you have already paid. It is not just the blocked games that you get access to when you use a VPN service. There are mods and beta versions of the game which are specifically available for some regions. You can mask your location to get access to such content. Games also have servers in different parts of the world, and most of the times, the user is connected to the closest server by default. Many games provide the user with the option to switch between the servers. There are also some games which don’t give such options to the user or make it tough for the user to access the server list. It is something that many people are noticing in games like Apex Legends, as the game has tried to keep the server list away from the users. There can be many reasons for you to want to change the server. Either the current server is too easy, and you want some worthy opponents, or it is too difficult, and you want some more experience on the easier servers. Other possible reason can be that you want to try out the other servers and gauge their difficulty levels. Whatever the reason may be, VPN services will make it easy for you to switch between the different gaming servers without the need to meddle with the game settings. You can choose a VPN server in the region where you want to play. The game server will then perceive you as a user in that location and automatically connect you to your desired gaming server. The regional restriction will not bother you anymore if you use a VPN. There are some proxy services available, especially for the mobile games which allow the user to bypass the geo-restriction. Some may feel that these services are better alternatives to the VPNs as proxy services are often available for free. However, they don’t provide the kind of security and privacy that a VPN provides to its users. In fact, privacy policies of VPN services are so foggy that they seem to compromise the user’s privacy a lot more than the usual conditions. A proxy service doesn’t even mask the IP address of the user. VPN services generally maintain better privacy and security standards when compared to proxy services. So far, we have discussed all the possible advantages of using a VPN for gaming. But nothing is perfect, nor is the idea to use VPNs for gaming. If you are playing an MMO (Massively Multiplayer Online) game such as World of Warcraft or League of Legends, you may not be bothered much by the decrease in latency because of the VPN. But if it is an FPS (First Person Shooting) game such as Fortnite or Apex Legends, the latency issue may cost you a lot of games. There are games which simply cannot function properly with increased latency. You will be lagging all over the place, and it will ruin the whole experience for you and the opponents as well. There can be a few rare occasions when using a VPN may reduce the ping rate and increase the internet speed for the user when gaming. This happens when the ISP was initially throttling the user’s bandwidth for connecting to a gaming server. Since the ISP will not be able to recognize the fact that the user is connecting to a gaming server, it will not throttle the connection. However, those are rare occasions, and one can expect at least a slight decrease in latency when using a VPN. The user can make sure that he/she doesn’t use VPN when playing games which require higher refresh rates. For the rest of the games, VPNs should work well without any demerit. Now that you are aware of the pros and the con for using a VPN service for gaming let us tell you the things to keep in mind before getting a VPN for gaming. As Jacksepticeye has said it a million times, “Speed is key.” The user should make sure that the service which he/she picks gives higher speeds on a regular basis. The speed on a VPN varies from service to service, and gaming is something which one can’t relate to slow internet speeds. You can search the internet for user reviews to know which services are best when it comes to speed, or you can test different services themselves if they offer a free trial. High speed does not necessarily mean better ping rate, but it is highly likely that the service will have a better ping rate if the network is able to give higher speeds to the user. Some VPN servers display the latency on the various servers in the network, and this might be extremely helpful for the user when choosing a server specifically for gaming. Server locations have a significant role to play if one of the motives behind using a VPN service is to bypass the geo-restricted content. You need to make sure that the VPN service has ample server locations. The servers should be available in as many countries and regions as possible. It will make sure that you get access to not only the popular games but also to the lesser known indie games which may have been developed in a not-so-usual part of the world. More server locations in the network will also mean that the user will have more options when trying to connect to gaming servers in the different regions. The next thing you need to keep in mind while getting a VPN service is to see if it takes adequate care of your privacy. A lot of factors get involved when inspecting this element of the VPNs. You need to make sure that the VPN service is not based in one of the 14 Eyes countries of the world. It is a group of 14 countries which have strong surveillance systems in place when it comes to internet usage in the country. These countries also share this intelligence data with each other which inturn strengthens the surveillance network even more. The laws in these countries are generally not so much in favor of individual privacy, and the robust monitoring doesn’t make them an ideal country for a VPN service. The service should also have a no-logs policy. It means that the service will not store any information about the online activities of the user. If there won’t be any logs of the user’s online activities, then there won’t be any concerns about them leaking as well. The VPN service should be well equipped to guard the user’s information against any third-party intrusions as well. This is when the encryption and the protocol being used by the VPN come into play. Encryptions obfuscate the user’s traffic during its travel between the user’s device and the VPN servers. The encryption prevents third-parties such as the ISPs, surveillance networks, and hackers to read the content which the user is transmitting using the internet. The protocol in use is analogous to a tunnel through which the user’s data is routed. Any outsider will first need to break into this secure tunnel to unearth the user’s encrypted internet traffic. There are a lot of protocols out there and each them provide a different level of speed and security. Ideally, the user should get such a VPN service which employs a lot of these protocols so that the user can make a choice on the service. However, that may not be possible all the time, and therefore the user should look for a VPN service which uses the best blend of speed and security. One of the most important features that the VPN services need to have for gaming is that they should be compatible with the gaming devices. It is quite rare to find a service which will take care of all the user’s devices. In such a case, the user needs to check if the service works with a Wi-Fi router or not. Once the router is connected to a VPN, the user can have the VPN cover for all of his/her devices.